The new year has arrived and in the world of fulfilment the starting gun has been fired for what will undoubtedly be the most hotly contested race of 2019 – the race for warehouse space. Uncertainty over Brexit continues to wreak havoc with supply chain planning and competition to hoover up land for extra warehousing is reaching fever pitch. As a result, retailers are increasingly looking at how they can make the most of what they’ve got, by using up every inch of existing warehouse space. Effective warehouse optimisation can improve the storage capacity of the average warehouse by between 20 and 30 percent. But space optimisation does present operational challenges – it can make certain pallets and products less accessible and harder to identify by sight and it always has to be carried out in line with the warehouse’s specific operational requirements. For example, some product lines cannot be stored in close proximity to each other due to the risk of cross-contamination, while others may have a limited shelf life and must be stored on a rotating or batch system. When it comes to optimising space, a “one size fits all” solution clearly isn’t possible. What is possible, however, is a highly configurable warehouse management system (WMS) capable of adapting key optimisation principals to meet specific operational and space requirements. A best of breed cloud-based system, such as Snapfulfil, can lift optimization to the next level through best use of the available space. WMS software uses location, receiving, shipping and inventory data to determine an optimal warehouse layout, to manage travel times and further optimise operational efficiency. It can also alleviate reverse logistics burdens, helping efficiently process, handle and place return stock. Badly stored stock is a waste of valuable warehouse space, and a WMS can be used to evaluate how much excess there is plus inventory turnover rates. The data gathered then determines how best to store inventory and achieve the best use of space at any given point in time. WMS analysis may highlight any number of issues such as multiple locations for storing the same item, poorly managed pick faces or simply bad location planning and layout. Relatively simple space saving strategies such as consolidating part pallets, prioritising replenishment of part pallets to the pick faces and utilising all locations can deliver dramatic improvements across the board. WMS technology can pinpoint the exact location of stock, how much there is available and the most efficient picking method. 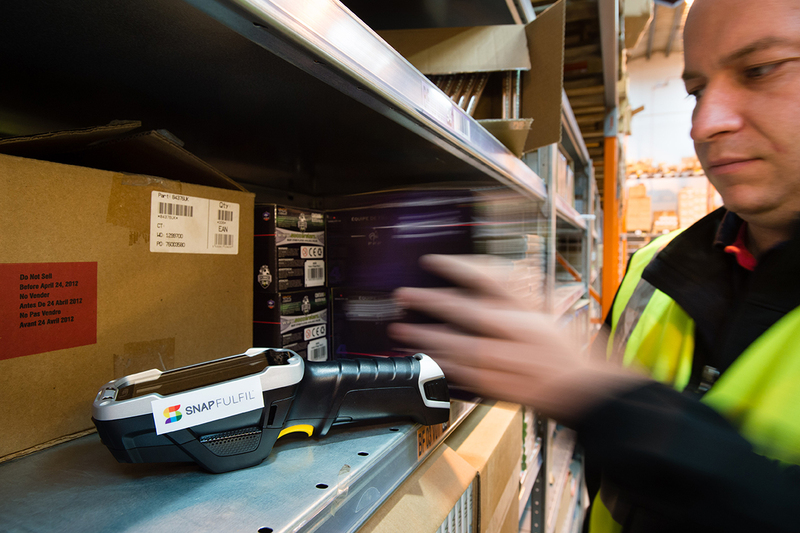 An easily configured WMS will use the data it collects in a space optimised warehouse to drive operators along optimal pick paths, use multiple picking locations for the same SKU based on size and velocity and other advanced techniques to drive down the time it takes to find and fulfil orders while keeping replenishment moves to a minimum. Implementing a WMS can help you get a head start in the race for warehouse space and ensure you’re operating as efficiently and accurately as possible to make the most of what you have.